When a loved one is suffering from Alzheimer’s, dementia or other cognitive deficiencies, a good memory care community can make a world of difference in their quality of life. However, determining how to choose a memory care facility can be an intimidating task. You’re likely to think of a multitude of questions during this process: How many dementia care and memory care programs are there in Scranton, PA? Do they specialize in Alzheimer’s care? What separates a great community from all the others? If you’re ready to start yourself or your loved one on a path toward comprehensive and comfortable memory care, keep reading for important questions to ask throughout your search. 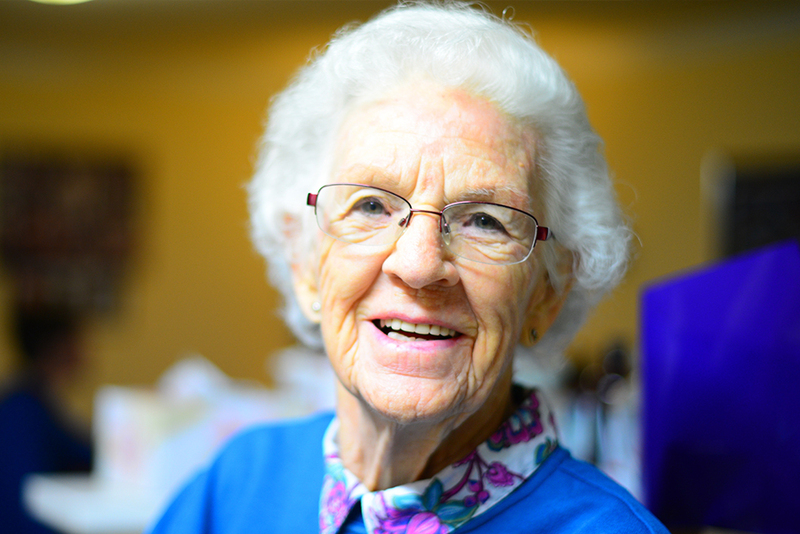 What are standard Memory Care services? Memory care programs offer a variety of service options. Not all will be relevant or helpful to you or your loved one’s specific situation, but understanding that they are available is a good first indicator of the depth of knowledge provided by the staff. It’s common for many assisted living and personal care communities throughout Scranton, PA, to offer a special memory care unit on its own individual floor or wing of the larger community campus. Likewise, there are also independent memory care communities available. It’s important to note, however, that memory care, Alzheimer’s care, and dementia care are all highly specialized forms of skilled nursing, quite distinct from assisted living and personal care. The cost for care within these communities tends to be higher than standard care, a fact which holds true even if the memory care services are rendered within a larger nursing home community. Still, memory care staff are specially trained to care for individuals with dementia and other cognitive impairment. This care often includes 24-hour supervision, medical monitoring and assistance with seemingly simple, everyday tasks. Most importantly, memory care communities provide a comfortably pleasing environment that is easy for residents and their loved ones to navigate on a daily basis. As you and your loved ones progress throughout the process of how to choose a memory care facility, you should develop both a list of your preferred choices and the questions you’d like to ask staff members upon further evaluation. Take the necessary time to schedule visits to each community on your list, and while you’re there, talk at length with various staff members, as well as residents and their families. Their firsthand perspectives will offer the kind of invaluable insight that no amount of internet searching will be able to provide. What levels of care does the community provide? Are staff members afforded additional or continuous training? What is the staff-to-resident ratio at both day and night? Are the rooms private or semi-private, and what are the differences in cost for each? If I or my loved one require personal assistance, what level of care can I expect? Are all meals provided, or are there different meal plan options? What type of physical activities or programs are offered and how often? How are special care needs like diabetic care or mobility issues accommodated? How are the residents with differing cognitive ailments grouped together? How often are friends and family members allowed to visit? What are the communication channels for friends and family to receive updates on a loved one’s well-being? Asking the right questions will get you the answers you need to make the decision that’s best for you and your loved one. For additional information and insight, talk to friends or other people you may know who have had to make this same decision. Not only can their experience help you in your search, but they can offer a supportive voice during what is most likely a difficult process. For even more information, contact us today and learn more about Alzheimer’s and dementia care services at Jewish Home of Eastern Pennsylvania.